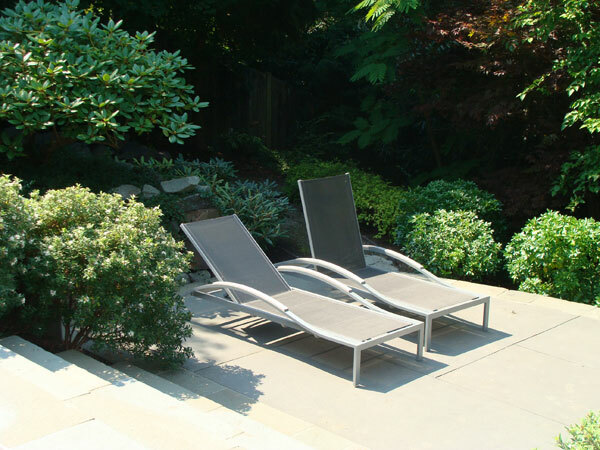 Seattle Landscape Architect and Garden Designer Brooks Kolb was asked to design a more usable family living space for this hillside back garden in Hunts Point. The property borders and looks out over a protected wetland slough and salmon stream. 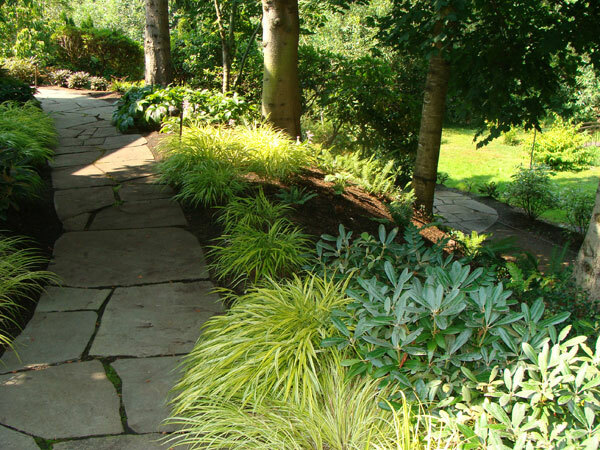 Since the native wetland plants are all deciduous, this garden changes dramatically in appearance from winter to summer. 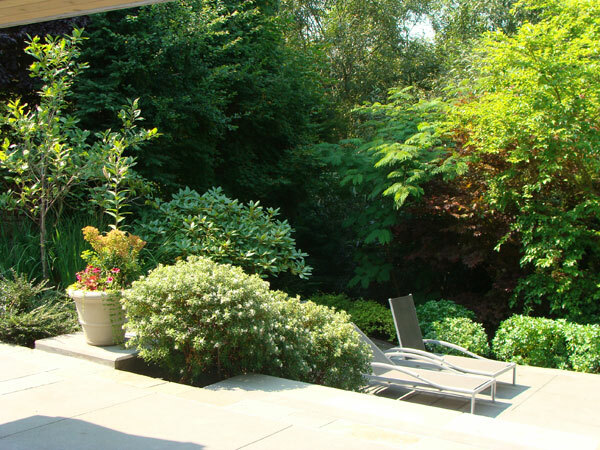 As a result, one of the main design goals was to make it appear more lush in winter, with added evergreen plantings. 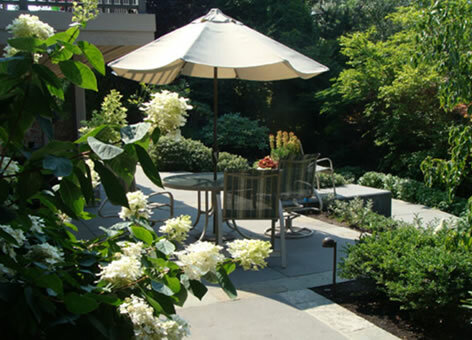 To increase the paved area for outdoor entertaining, Brooks recommended terracing the slope, which permitted the addition of a large patio halfway down the hill from the family room doors. 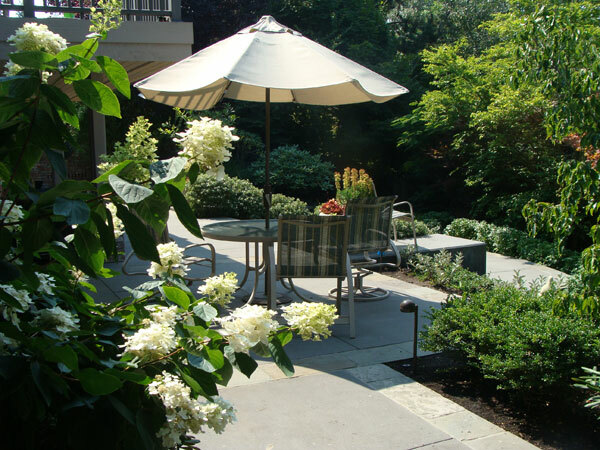 Brooks worked closely with the owner and architect Tom Estep to remodel a covered outdoor terrace, adding a brick fireplace. 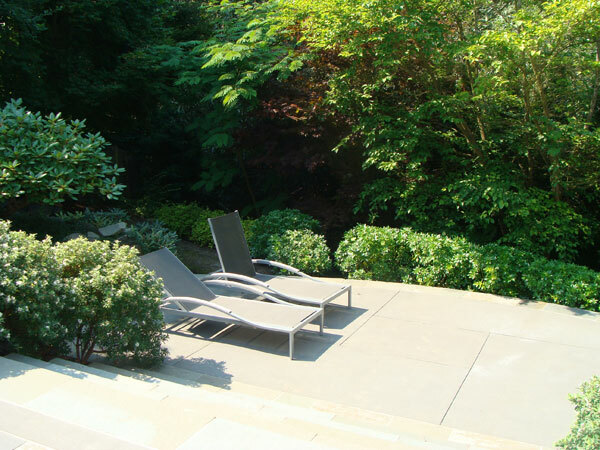 Informal stone and crushed rock paths loop around the property, descending to a wetland overlook and re-ascending to the hillside patio. 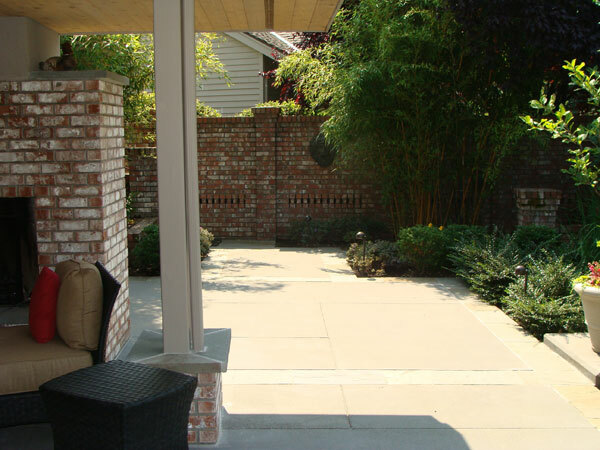 The paving design featured acid-wash finished concrete with bluestone bands and the steps to the patio were lined with fragrant Summer Ice Daphnes.